The European Patent Office and The Federal Service for Intellectual Property on November 17th launched a joint project aiming to make the two bodies’ patent systems more compatible. 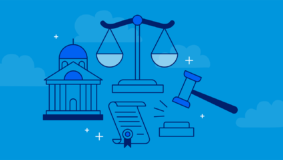 The main objective of the project, which will run over the next 12 months, is to examine current Russian patent legislation and make recommendations on how to align it more closely with European legislation as well as to develop patent guidelines that can be used by patent examiners at the Federal Service for Intellectual Property, Patents and Trademarks (Rospatent). The project will also seek to streamline Russia’s patent application, registration and processing procedure to approximate them to the EU approach, and facilitate the teaching of intellectual property economics in Russia. Moreover, experts will address the Russian system of granting supplementary protection for pharmaceuticals in the light of current European administrative and judicial practice. More information can be found at www.epo.org. Patent Attorney Linda Norrgård, M. Sc. (Tech. ), strengthens Papula-Nevinpat’s team of IP experts as of 1 April 2019. Linda has worked with patents since 2008, spending most of her career in various Finnish patent firms. 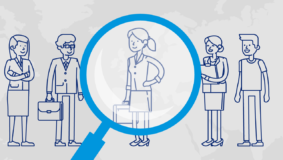 Papula-Nevinpat’s team of IP experts is growing, as European Patent Attorney Miika Tupala has been appointed patent attorney as of 1 April 2019. 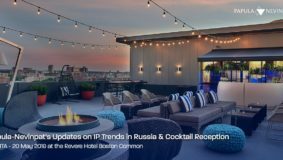 Also this year we are present at INTA 2019 in Boston and are arranging presentations on IP Trends in Russia and hosting a cocktail reception on Monday 20 May at the Revere Hotel Boston Common. 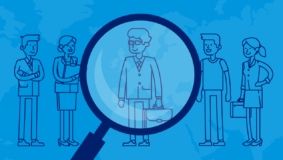 Read the main impacts on EU trademarks and EU designs, in case the UK leaves EU on 29 March 2019 without a withdrawal agreement.